When you need help managing money for your business, an accountant or financial advisor can provide tremendous assistance. But it can be hard to know exactly which one you need: accounting help, financial advice or overall business advice. You might even need all three. 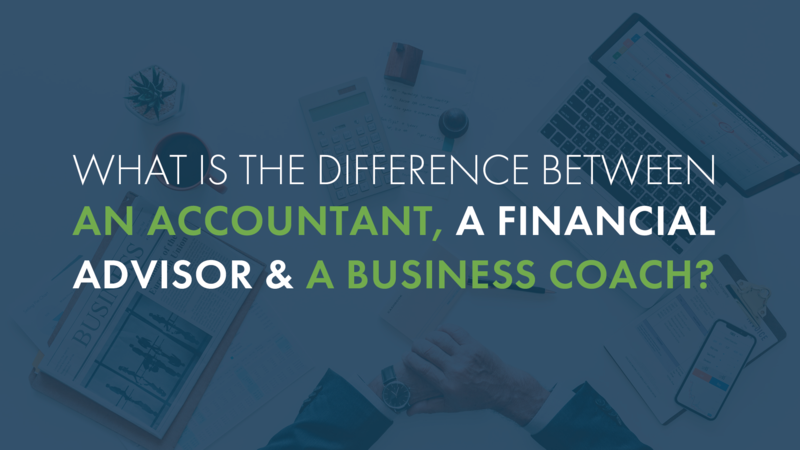 Here’s a look at the differences between accountants, financial advisors and business coaches, so you can decide how your business could benefit from their services. On a basic level, an accountant handles your business records and bookkeeping. They’re experts at handling financial details. They ensure your books are closed each month, oversee your day-to-day cash flows, and help you keep your taxes in order. An accountant must have a degree in accounting, and the most common type of accounting credential is that of certified public accountant (CPA). There are 1.4 million accountants in the U.S.
A financial advisor assists with business issues like investing and expanding the company. They help you look ahead to the future and avoid making risky mistakes. They provide guidance for significant business decisions that can cause cascades of changes across the company. There are fewer financial advisors than accountants in the U.S. - about 272,000. Financial advisors must at minimum have a bachelor’s degree in financial planning to become certified financial planners (CFPs). While both accountants and financial advisors are highly-trained professionals, and there’s definitely some cross-over in what they do, each helps you strategize about different things. While a financial planner always keeps tax codes in mind, an accountant can find the tiniest tax details that make a huge difference for your company. Above all else, accountants are tax preparation experts. A financial planner could give advice that saves a company thousands of dollars by avoiding risks and investing wisely. An accountant can prepare a company’s taxes and find thousands of dollars in additional savings from things like small business deductions. The roles of accountants and financial advisors complement one another in the management of your company. Let’s look a common example: expanding your business. Imagine that you’re planning to add a second location in a neighboring state. In this situation, a financial advisor can give guidance about the investments and debt you’ll need to take on to make the expansion happen. They’ll alert you to potential scenarios and risks you might not have considered. They’ll also help you set an operating budget for the new part of your company. At the same time, an accountant will keep an eye on all the details that could derail your plan if they’re not managed correctly: payroll, expenses, revenue, daily bookkeeping. As you buy or rent property, they’ll handle its impact on your financial picture. They’ll know the tax laws for the neighboring state, and will alert you to any tax breaks that come with your business expansion. If you’re not sure whether your business needs an accountant, a financial advisor, a business coach or all three, seek out an all-in-one accounting service that can fill a wide variety of financial roles. At Ascension CPA, we offer outsourced CFO services, business coaching and financial advice to help your business thrive. Ascension CPAs & Consultants helps businesses operate more profitably through accounting, bookkeeping, payroll, taxes, business planning, and CFO services. We can reduce the tax burden a business faces and provide accounting consulting services with a personal touch.